Galloway - Scotland in a nutshell! Woodpecker is a traditional and sympathetically restored self-catering cottage set amidst magnificent scenery in the heart of one of the most beautiful and quiet corners of Scotland. 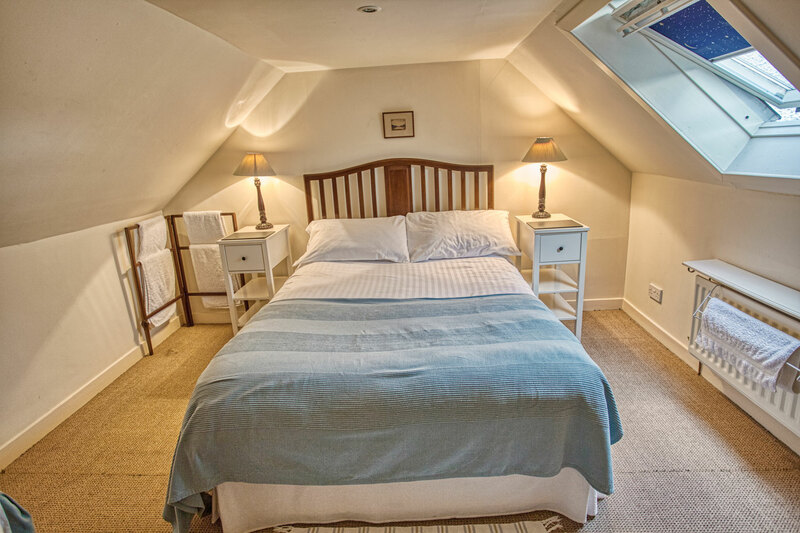 The Cottage sleeps up to six with one double bedroom on the ground floor, and one double and one twin upstairs. It has a kitchen and bathroom on the ground floor (both with a natural slate floor), utility room and games room with pool table and table tennis table. The sitting room and dining area has a stripped pine floor and an Aga glass-fronted multi-fueled stove. There’s also an efficient oil-fired central heating system throughout the cottage. A large well-planted garden includes a secluded area ideal for barbecues. We are located in the conservation village of Bladnoch less than a mile from the attractive former county town of Wigtown (Scotland's National Book Town), in Galloway, Southwest Scotland. Close by are safe sandy beaches, rolling hills, quiet roads and rugged coastlines. Galloway abounds in beautiful gardens, including Logan Botanic Gardens, Scotland’s most exotic. There are several golf courses (one within a 5 minute walk of the cottage) and the area has many places of historic interest. Nearby Whithorn has been a place of pilgrimage for hundreds of years; St. Ninian brought Christianity here in the 4th century, a good hundred years before St. Columba in Iona. Across a field from the cottage is the River Bladnoch with salmon and trout day permits available. There’s an attractive, traditional child-friendly pub and restaurant with beer garden on the riverbank within two minutes walk. Bladnoch is also the home of Scotland’s most southerly distillery, a beautifully maintained complex producing fine malts and offering daily tours and whisky tasting. Within easy walking distance there’s a country house pub and restaurant. Galloway is often referred to as “Scotland in miniature”. The wilderness of the Galloway Hills is close by for serious walkers. For ramblers there are plenty of less challenging byways. It’s also renowned as being one of the best mountain bike areas in Britain. Wildlife is plentiful including ospreys and peregrines, otters and deer. There’s excellent river, loch and sea fishing. This is an ideal spot for a holiday and getting away from the stresses and strains of modern life. People will speak to you in the shops and pass the time of day on the streets. Visit our Gallery for more pictures of our cottage.